Attention: 1. The dongle must be powered by 5V/1A power adapter. 2. Not Compatible with Netflix,HBO go, HULU and Honda motor. 3. Please check whether your Android smart device supports MiraCast(if not, it not works). We Superwang promise after-sales customer service with one year !If any problem,please contact us now! ✾✾✾Enjoy your video on the big screen! ✾✾✾Supports Car HDMI, Wireless phone connected to the Car display. ✾✾✾E-learning, business meeting: Wireless Display, from out of the shackles of cable, the meeting has become intelligent and efficient. ✾✾✾Attention: 1. The dongle must be powered by external power adapter(at least 5V/1A ). 2. Not Compatible with Netflix,HBO go, HULU and Honda motor. 3. 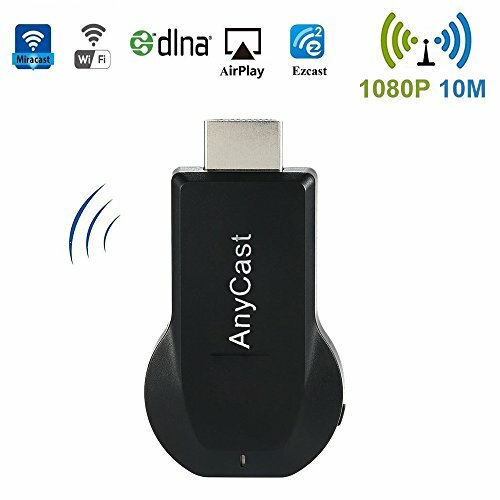 Please check whether your Android smart device supports MiraCast(if not, it not works).